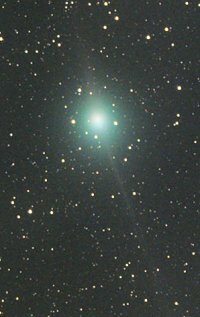 I saw this comet this morning at 05:00 LT with -4°C . 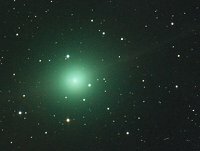 Only with a 8x56 binocular was visible as a diffuse green star. 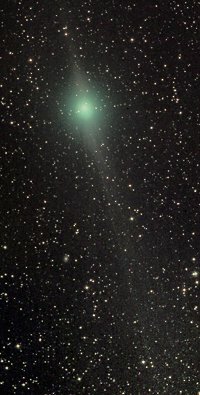 In the picture the double tails are visible. Baker-Schmidt Zen 750/250 10" at F/3 + Sbig STL6303E 5 min LRGB of exposure. 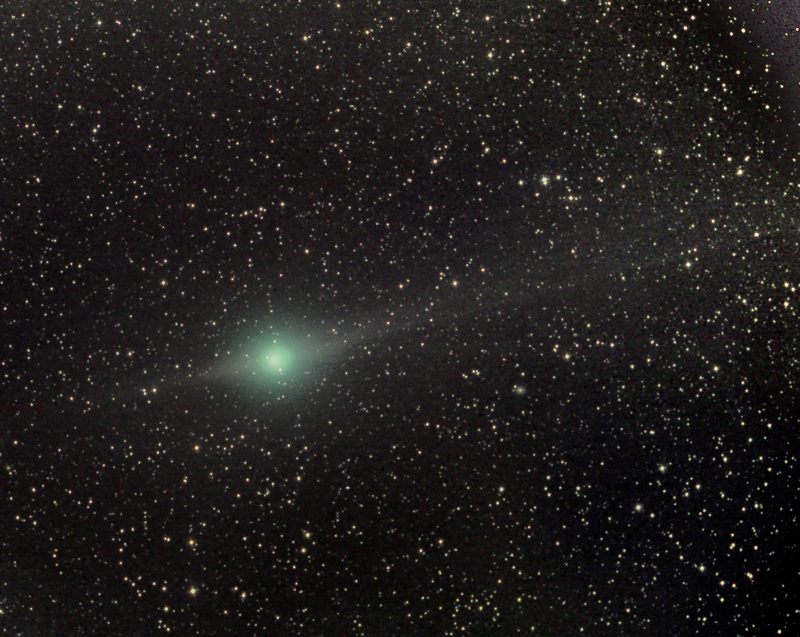 Animation of comet Lulin starting at 07:54 UT to 09:06 UT on January 24, 2009. 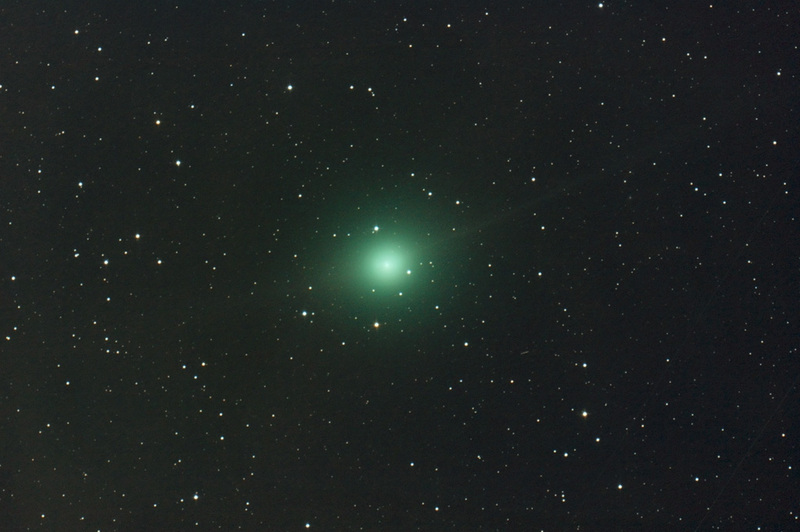 Taken with Canon 350D camera and William Optics 132 FLT telescope. 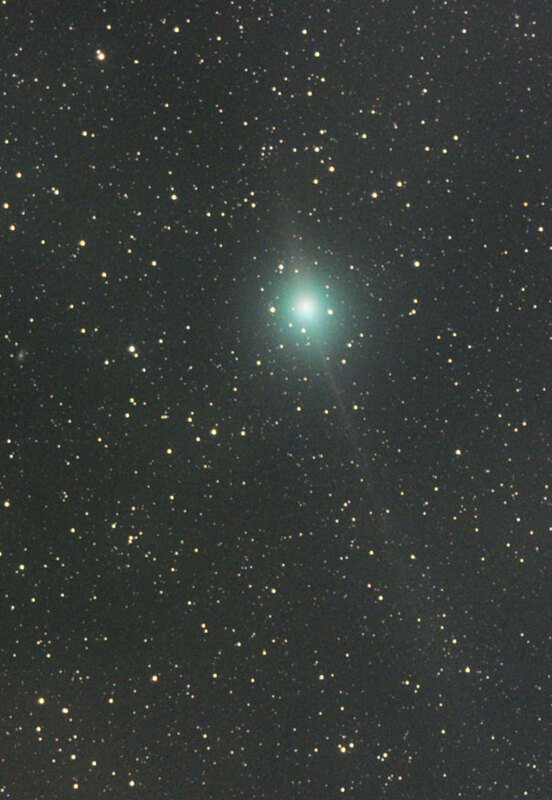 Stars aligned and frame cropped. Acquisition and processing collaboration: Enzo De Bernardini.